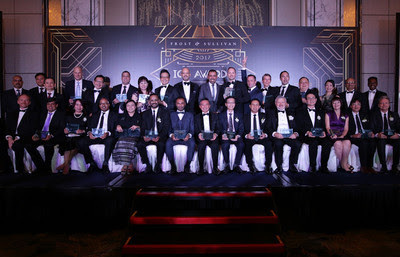 NTT Communications Corporation (NTT Com), the ICT Solutions and international communications business within the NTT Group(TYO: 9432), and Arkadin, an NTT Communications company and market leader in cloud Unified Communications and Collaboration services, announced today that both have received 2017 Frost & Sullivan Asia Pacific ICT Awards. E-commerce is witnessing explosive growth. According to Frost & Sullivan, the global e-commerce market, which amassed more than US$1.5 trillion in 2015, is projected to exceed US$3.0 trillion by 2018. For two consecutive years, Globe Telecom was named as Telecom Service Provider of the Year for 2016 by Frost & Sullivan Philippines following an impressive business performance in the previous year.